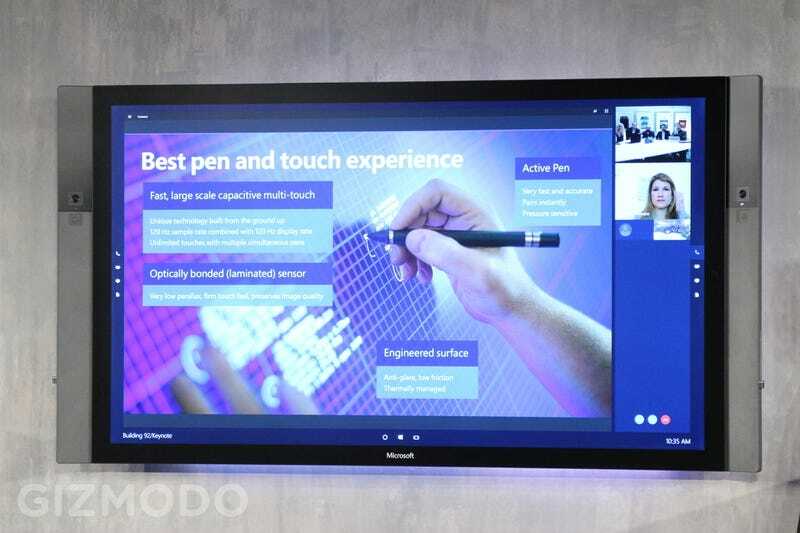 There's no word on price or availability for this enormous display, but Microsoft is billing it as the ultimate solution for workplace meetings. Want to share everything you wrote on the conference room whiteboard? Replace it with a Surface Hub and share it all via OneNote. Need a way to naturally integrate remote workers into a meeting? There they are, Skyping in on your office's new, terrifyingly large display. If you were wondering what Microsoft was planning when it bought up Perceptive Pixel, this is it. It's a big, complicated and probably very expensive solution to sharing content created in the conference room, but I have to admit — I'd take a Surface Hub over a whiteboard any day.